Antique Tractor Show The Antique Tractor Show is from 9 a.m. to 5 p.m. The tractors on display are brought in by a proud group of individuals and families! Kiddie Pedal Tractor Pull The Kiddie Tractor Pull starts at 10 a.m. Contest is open for kiddos aged 3 to 8. Each tractor has been modified for heavy pulling and is attached to a weight transfer sled.All participants must preregister at 9:30. Age Groups are: 3 year olds, 4-5, 6-8. Ride’em-Push’em-Pull’em Parade! Parade will start @ approx. 11:30. 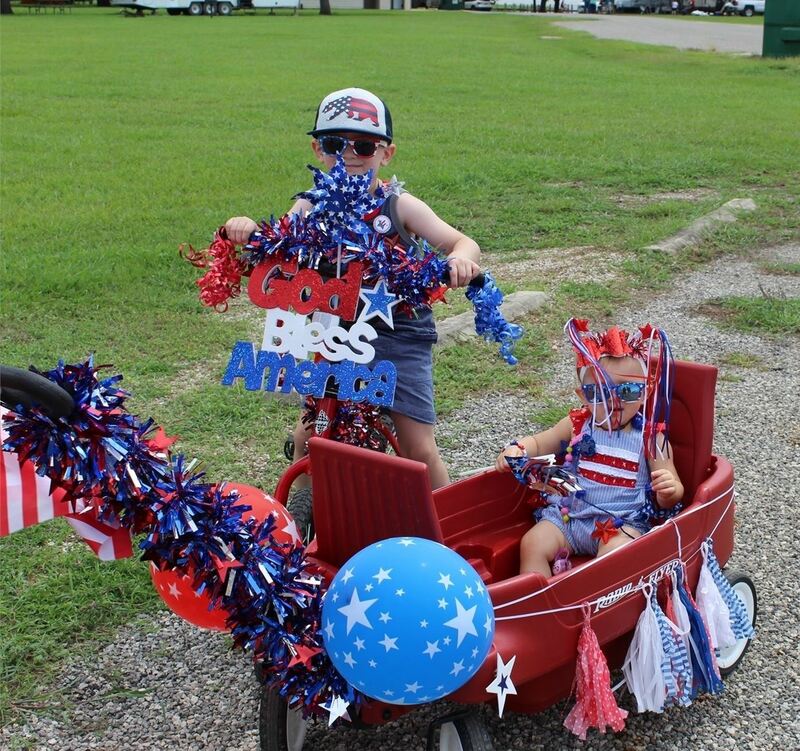 Patrons are encouraged to dress up & decorate their bicycles, strollers & wagons in patriotic colors! Participants will receive a free patriotic item while supplies last. One winner will be chosen as The Best Decorated!! Hot Dog Eating Contest! It will start at 12:30 pm on the stage & is open for anyone 15 years old or up & is limited to just 10 participants. Registration will be taken at the stage at 12 pm. Whoever eats the most hot dogs in 5 minutes is the winner!! Watermelon Eating Contest The contest will start at 1:30 pm on the stage for children ages 9-14. Contest is limited to 30 participants. Registration will be at the stage 30 min. prior to the start of the contest. We cant wait to crown our king or queen! SEE BELOW FOR MORE INFO! Antique Tractor Parade! 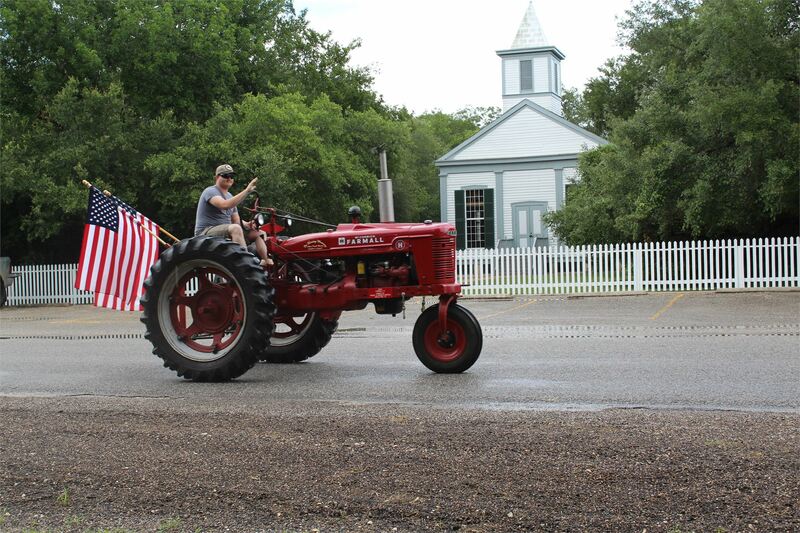 At 2:30 p.m. the Antique Tractor Parade will wind thru Brackenridge Park & is a delight to all with the vast array of historic tractors. Spectators are encouraged to bring lawn chairs and to line the parade route thru the park. You won't want to miss it! Best Decorated Campsite! Guests are encouraged to decorate their site in patriotic colors with judging to take place at 3:30 pm. One winner from each park will be chosen. Results will be announced following the Family Obstacle Course Competition. Family Obstacle Course! At 5 pm. 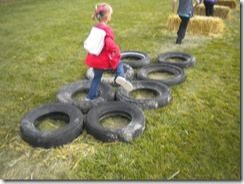 we are hosting our first Family Obstacle Course Competition! 8 stations will be set up & ready for competitors to take on the challenge! Competition is limited to only 5 members per team & must be 6 years of age or older. SEE BELOW FOR MORE INFO! DJ! At 7 pm a DJ will be set up on the stage with a dance to begin & will provide a great mix of music for those in attendance. 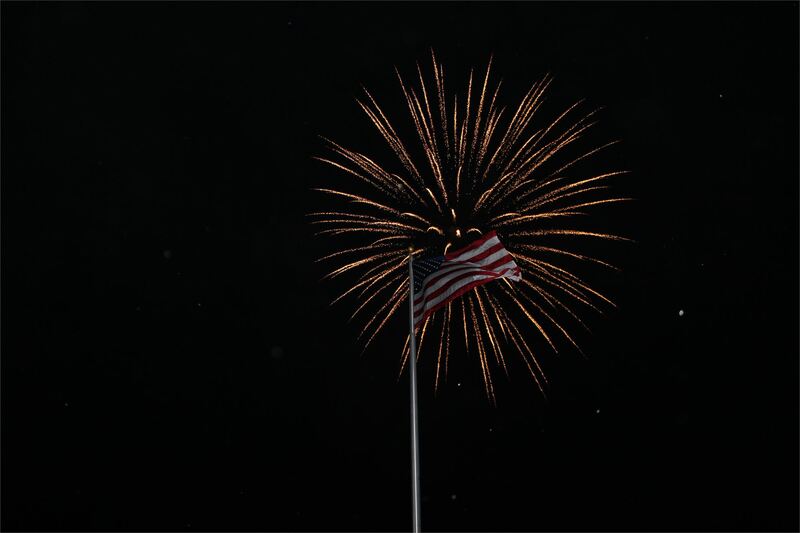 The DJ also provides a nice medley of patriotic music during the fireworks show. The dance will conclude at approximately 11 p.m.
Food Trucks! 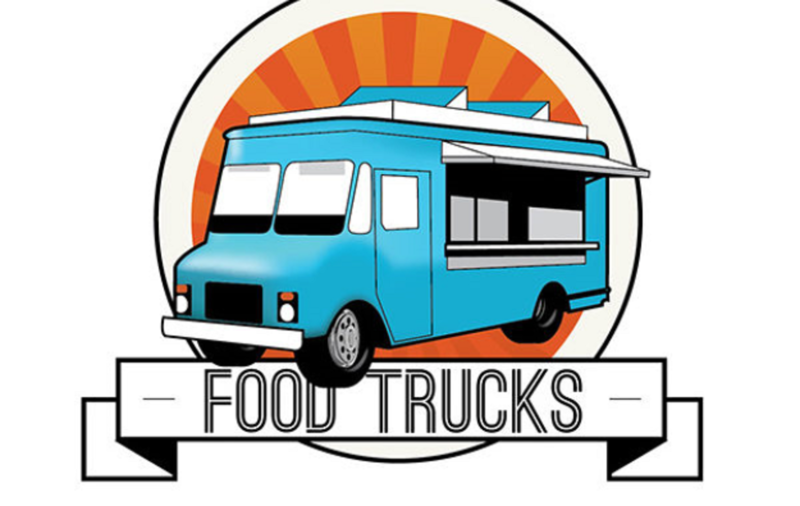 There will be food trucks on site selling your favorite foods! Fireworks! The FREE Fireworks Show at Brackenridge Park & Campground has taken on a life of its own over the years. It is scheduled to start just after 9 p.m. SEE BELOW FOR MORE INFO! The Brackenridge Independence Day Celebration & Fireworks will be held Saturday, July 6th at Brackenridge Park & Campground and is sponsored by the Lavaca-Navidad River Authority. This year’s event will include an Antique Tractor Show and Parade, a Kiddie Peddle Tractor Pull, the Ride’em-Push’em-Pull’em Parade, Watermelon Eating Contest, Hot Dog Eating Contest, DJ Dance and a Fireworks Show as well as a NEW Family Fun Obstacle Course Competition! This event is FREE to the public. The Antique Tractor Show is from 9 a.m. to 5 p.m. The tractors on display are brought in by a proud group of individuals and families, all of whom have a common interest in collecting and restoring vintage agricultural equipment that range from a variety of small and large hit & miss engines including John Deere, Farmall, International, Ford, Massey-Ferguson, Minneapolis-Moline, Case, Allis-Chalmers, and more. This event gives today's generation a view of the machinery that once tilled the fields of America. The Kiddie Tractor Pull starts at 10 a.m. Kids from three to eight are welcome to compete in the action packed, pedal tractor pull. Each tractor has been modified for heavy pulling and is attached to a weight transfer sled. The sled is filled with a certain amount of weight which is determined by the age of each participant. As kids pedal down the path, the weight in the bucket transfers up the sled and makes it harder to pedal. All participants are asked to preregister at 9:30 a.m. Age Groups include 3 year olds, 4-5 year olds, 6-7 year olds, and 8 year olds. 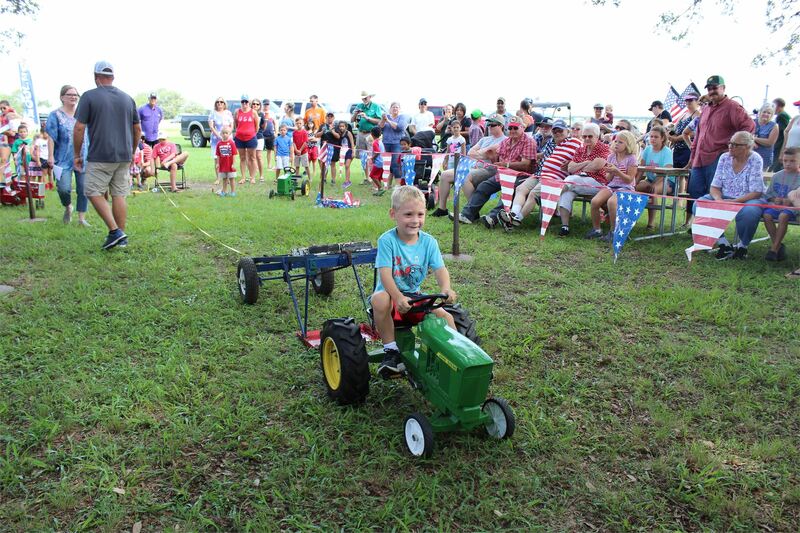 At the conclusion of the Kiddie Tractor Pull we will gather everyone for the Ride’em-Push’em-Pull’em Parade! Children and adults are encouraged to dress up and decorate their bicycles, strollers and wagons in patriotic colors and participate in this fun parade. It is scheduled to start at approximately 11:30 a.m. at the Gator Golf Course parking area and conclude near Comfort Station #2. All participants will receive a free patriotic item while supplies last plus we will be choosing one winner as The Best Decorated! Back by popular demand is the Hot Dog Eating Contest! The contest is open for anyone 15 years old or up. The competition will start at 12:30 p.m. on the stage and is limited to just 10 participants. 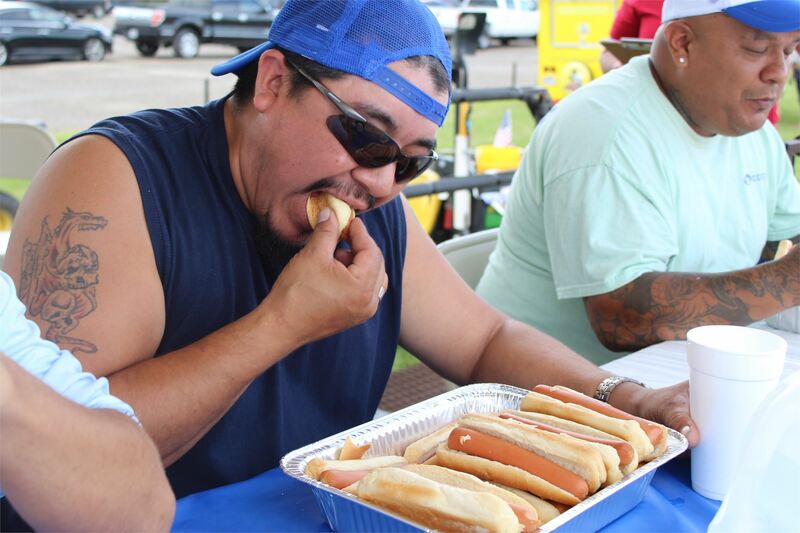 This contest will determine who can eat the most hot dogs in just 5 minutes! Registration will be taken at the stage at 12:00 p.m. We are looking forward to crowning the Hot Dog King or Queen! 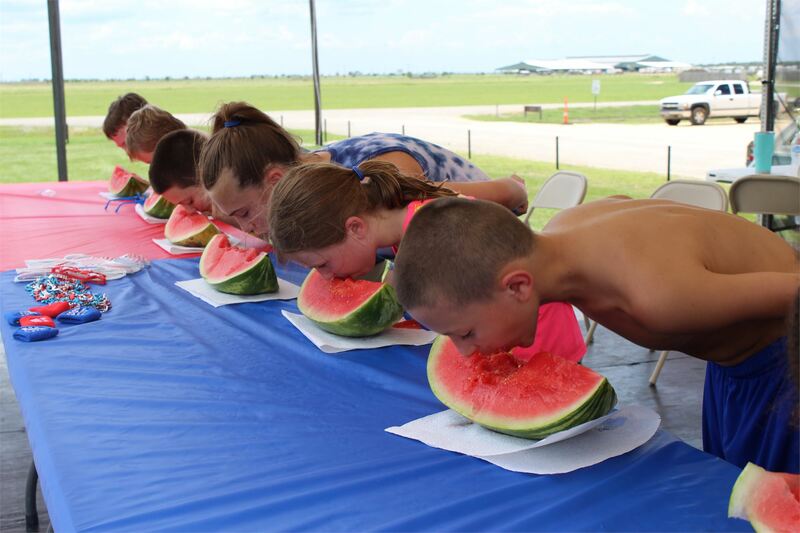 At 1:30 p.m. we are hosting the Watermelon Eating Contest for children ages 9-14. The contest will be held on the stage and will be limited to 30 participants. Registration will be taken at the stage 30 minutes prior to the start of the contest. We are planning 3 heats of 10 participants with the winner of each heat moving on. One winner will be chosen during the final round of the competition! 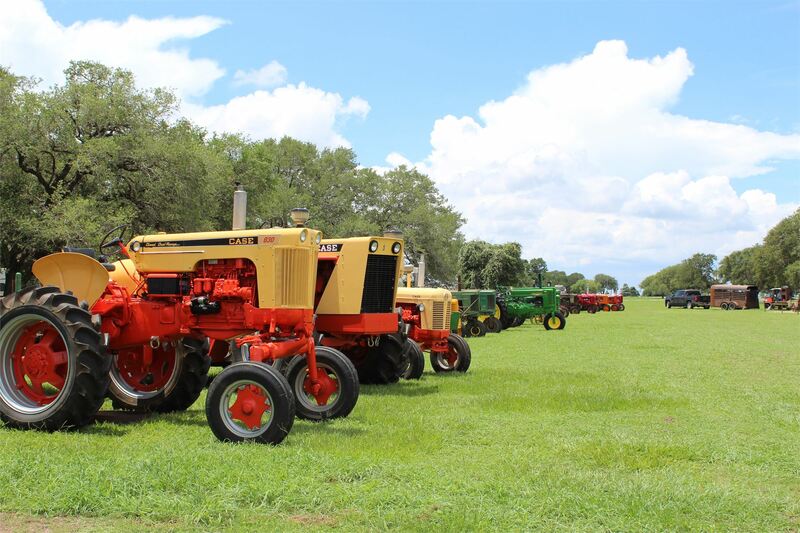 At 2:30 p.m. the Antique Tractor Parade will wind thru Brackenridge Park and is a delight to all with the vast array of historic tractors. Spectators are encouraged to bring lawn chairs and to line the parade route thru the park. Many of the tractors are festively decorated for the Independence Day holiday and definitely a sight you won't want to miss! 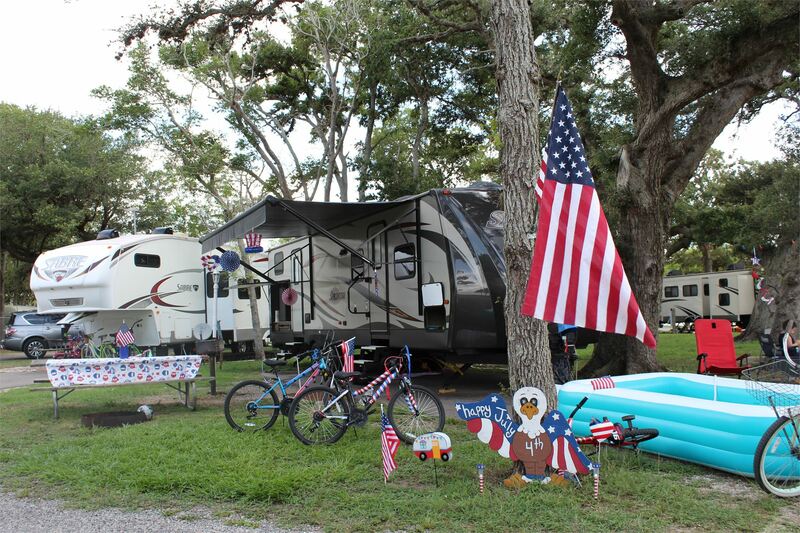 The other contest is for our camping guests only…it is the Best Decorated Campsite or Cabin Contest! Guests are encouraged to decorate their site in patriotic colors with judging to take place at 3:30 p.m. One winner from each park will be chosen. Results will be announced following the Family Obstacle Course Competition. We are looking forward to lots of festively decorated sites! At 5 p.m. we are hosting our first ever Family Obstacle Course Competition! The course is being constructed inside of Brackenridge Park at the playground area between the pull thru sites and the first camping circle. There will be 8 stations set up and ready for competitors to take on the challenge! The first station will be the famous “American Ninja Warrior Steps” followed by a sack race, tire race, army crawl, wall climb, swaying steps on a wooden bridge, balance beam, and it finishes with a hay slide! The competition is limited to only 5 members per team. Participants must be 6 years of age or older. So, round up the kids, parents, and maybe even the grandparents to build your team. Registration forms will be available online at www.brackenridgepark.com/independenceday or you may pick up a registration form at the Brackenridge Park Office. We will start accepting pre-registration forms one week prior to the event at the Brackenridge Park Office. On-site registration for the competition will start at 4:30 p.m. at the Obstacle Course. The top 3 teams with the fastest completion time will win medals for the entire group! If you want to show off your patriotic side… we will be giving an award to the team that we deem as most patriotic! This new activity is sure to become a fan favorite, so gather up your friends and family for some good ole competitive fun! Starting at approximately 7 p.m., we will announce the winners of the Best Decorated Campsite Contest along with the winners of the Family Obstacle Course Competition. Following the announcements, a DJ will be set up on the stage with a dance to begin and will provide a great mix of music for those in attendance. The DJ also provides a nice medley of patriotic music during the fireworks show. The dance will conclude at approximately 11 p.m. The FREE Fireworks Show at Brackenridge Park & Campground has taken on a life of its own over the years. It is scheduled to start just after 9 p.m. The beautiful fireworks display utilizes a wide variety of fireworks effects for maximum impact and audience appeal. Visitors can best view the event by parking in the grassy field across from the Harry Hafernick Recreation Center. The fireworks can be heard echoing throughout the surrounding area to celebrate all our nation has accomplished and continues to stand for. We invite you to bring your family and come enjoy a full day of fun at the Brackenridge Park & Campground! Brackenridge Park & Campground is located about 6 miles south of Edna on State Highway 111.For more information, please call (361) 782-5456 or visit www.brackenridgepark.com.